Available with our North Pole voyage only, here’s your chance to fly high over the top of the world. 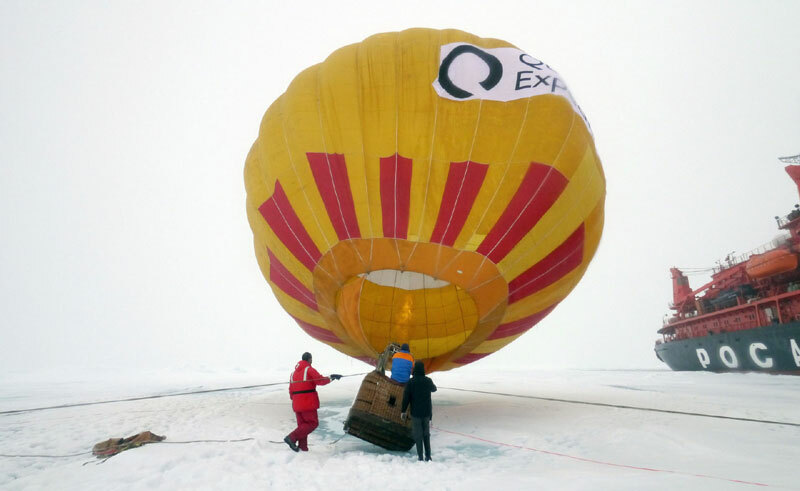 Enjoy a 15-minute tethered balloon flight high above the Arctic pack ice, offering uninterrupted 360° views stretching south in every direction! Prices start from around £300 – £380 per person. Prices can vary depending on departure; please contact our team of polar specialists for guidance. Pre-booking is essential. All activities are weather-dependent – passenger safety is paramount.